Interested in listening to good music while working out and running? Perhaps you're a runner or just a person who would like to go running. 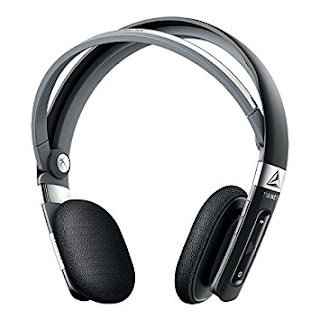 Take a look at this guide and make a sound choice in selecting the best headphones for you. Whether you consider yourself as a seasoned runner set at breaking records, or someone who is just a beginner, there is no doubt that listening to good music while running during training can offer you that extra motivation that you need in order to succeed and win, eventually. Because are a lot of options out there when it comes to sport headphones, selecting the best one that suits your preferences may be difficult. In order to make a well informed decision, take a look at the following top 5 best sport headphones for runner. The TH100 model is a comfortable and great sounding Apt-X Bluetooth earphones pair that is lightweight, and comes with a flashing light at the back, making it well suitable even for night running. This feature may be turned off using the main button. It also comes with several other amazing features that easily makes it a good candidate to your shortlist. 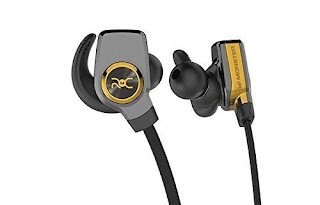 Among the features include a choice of in-ear tips, stylish design, good battery life, and amazing audio quality. It may not be the most rugged option that you can find, but it is sturdy enough to withstand different types of activities. If you are a runner who demands better sound quality, valuing comfort and lightness over being rugged, the Trainer TH100 is basically a good option for you. The quality of sound produced by this pair of headphones is actually better when compared to other models in this list. This model comes with a design that is considered as “exercise focus”, going above the norm in order to make sure that you have a great sound experience while running, or perform other sport activities. You will certainly love these headphones’ very secure fit, clear and bright highs, high quality audio and deep bass response. While it may fall under the expensive category, it comes with several eartips and accessories, and a sound quality that is way better compared to the original version of this model. These features will be enough to justify the amount. 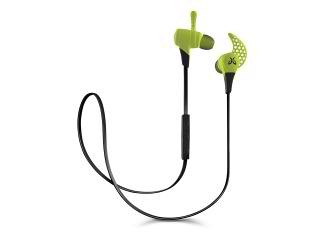 No doubt, these wireless Jaybird X2 headphones can turn out to be one of your best options there is. It provides an exceptionally secure fit, as well as solid audio performance via Bluetooth, making it perfect for athletes and runners. The SuperSlim model is the second pair of wireless, Bluetooth headphones from the company. It promises to provide a powerful and bass sound, built in a design that can withstand even the sweatiest workout sessions. One of its outstanding features is the introduction of the iOS-friendly Control Talk microphone. Also, it is well known for its secure, comfortable fit, clear and bass sound, great noise isolation, and the fact that it can be washed under tap. Its bass may not be appreciated by everyone, but for those who do, this is a great option. It seems that the standard continues to go higher when it comes to running headphones. If you are looking for headphones that can provide you enough treble and finesse all the way, the SuperSlim model is perfect for you. If you are on a budget, the JLab Fit headphones is a good option that should be included in your list because it’s the best earbuds under 50 dollars. However, it does not mean that just because it is in the inexpensive range of the price scale, it fails to offer quality. In fact, it gives solid audio performance which is quite amazing for its price, and several other features that come with it. This JLab Fit headphones will surely please you as it comes with different accessories, ideal for those who are satisfied with temporary headphones, and are on a tight budget. Still, despite the price, you get what you want out of a high quality headphones. 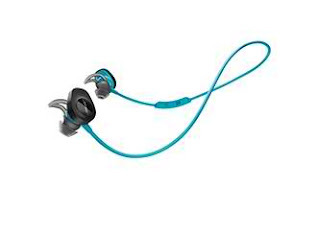 The Bose SoundSport Wireless headphones may be categorized under the the pricier options, but the features that are included in each unit are highly recommended for those who want to use this headphones for workout and running. Among its well-loved features include an impressive audio performance, secure fitting, comfortable eartips, intense bass response, and moisture resistance capabilities. With Bose SoundSport Wireless, you can expect to indulge in the pleasure of listening to thunderous bass and overall quality music. Also, it comes with an amazingly comfortable design that would make it a highly preferred gym or workout focused headphones. Each and every item found in the list above comes with their own sets of advantages and disadvantages. Now that you already have a comparison list of the features that you can expect, it is now up to you to choose one that will satisfy your cravings for good sound quality. Of course, there are also other factors that you can consider, including budget, and accessories.